The latest PTR patch is up and running for Overwatch, adding the Rialto map and balancing several of the game's heroes. The Overwatch League kicked off Stage 3 in grand fashion two weeks ago when Game Director Jeff Kaplan took the stage to announce Overwatch Retribution, along with a new PvP map. He did note that the map would need some PTR testing and that time looks to have come. What he didn't mention is that several heroes would undergo some major balance tweaks. 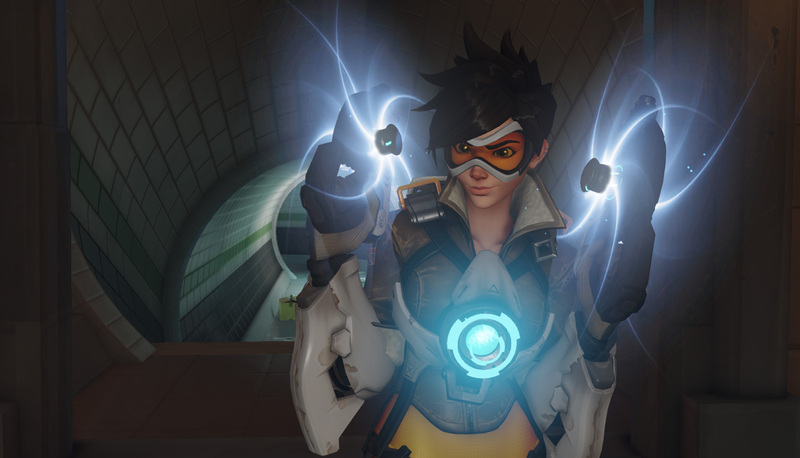 The biggest nerf appears to go to Tracer, whose Pulse Bomb Ultimate is getting its max damage reduced by a whopping 25 percent. The developer explanation reads, "Pulse Bomb was too good at killing tanks, who can be easy to stick due to their size. This damage reduction makes it less powerful as a tank-destroyer, while keeping it lethal against most other heroes." But this update isn't all nerfs. Hanzo has received some noteworthy buffs, which include his Storm Bow getting an increase in projectile speed and Sonic Arrow getting a few tweaks. Hanzo also has a new Lunge ability that allows him leap horizontally by hitting the jump button in mid-air. Plus, he'll be armed with new Storm Arrows, which fire up to six arrows, replacing his old Scatter Bow ability. "The goal of these Hanzo changes is to allow him to have new options and maintain his high damage output, while removing the frustration of fighting against the old Scatter Arrow," reads the developer explanation. "Hanzo is now much more mobile with his new Lunge ability, and with the combination of the bow projectile speed increase and the new Storm Arrows ability he can now deal his high damage more consistently than ever before." Other changes involve taking Junkrat down another notch and adding a few positive changes to Lucio's Wall Ride and Soundwave. Look for the Rialto map and these balance changes to make their way to all versions of Overwatch soon. Those looking to see how these changes will look in action can jump into the Overwatch Public Test Realm now. For more information on this PTR patch, visit the Overwatch forums. The Hanzo rework is awesome. Way more mobility, no more scatter and instead Storm Arrow lets him fire arrows instantly which is really useful against flankers. Wouldn't be surprised to see him nerfed, but even if they do, I still think he'll be more popular than ever. He's more versatile than he was before though, more of a skirmisher like McCree. The change sounds awesome! I liked playing Hanzo, but the inconsistent damage output that comes with slow-firing projectile always frustrated me. Whenever I got a few hits in a row, I felt like a badass Hanzo; but a few misses in a row and I feel like I'm utterly useless. I was so glad when they announced it. Scatter arrow was a trash broken ability. it should have never bounced off the ground like it did. Yeah no longer the only unchanged hero! She also saw a lot more changes during alpha / beta than most of the other characters, and is all around just awesome! I'm kind of surprised that nerfing her ult damage is what eventually happened as pulse bomb has continually been underwhelming in most circumstances. If they're going to nerf pulse bomb in the hands of skilled players, they should really make it easier to land. The projectile speed is much too slow. No other ult in the game is nearly as easy to waste. It charges damn quick, though. They are one of the few heroes that rewards higher skill play to a practically infinite level. They are always gonna be in pro matches because of that. I think it's more high burst/speed so you can't block them with shields/abilities near as easily. And genji's ult is almost unblockable. Or what if they made tracers' character the same size as 76? They just need to buy Zarya and Rein a little. Generally Blizzard fixes a class and tries to balance everyone around it, and only really touching that class if they're the significant outlier one way or other. That would indicate Tracer is that hero for (offense?) OW. Yeah its extremely satisfying but its just too powerful. It was too good at things it wasn't intended for (doing lots of damage to high hp characters) and unreliable at what it was intended for (killing flankers) so it's a perfectly reasonable change. Also the RNG of scatter arrow is downright horrible to play against. Having an ability that is almost an instant kill if fired into the floor at an enemies feet just doesn't work.